Get a step ahead, armed with strategies for an optimized, ever-improving plan to drive bottom-line impact using personalization. There are many ways to put your company’s data to work and by far, personalization is one of the most exciting and effective. Just look at online giants such as Google, Netflix or Amazon, and you’ll find living proof that data is a resource that helps build a digital empire. 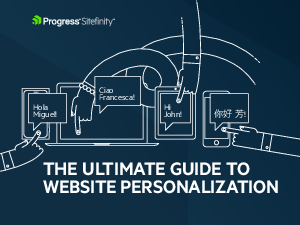 Download this guide to get a step ahead of the competition, armed with strategies for an optimized, ever-improving plan to drive bottom-line impact using personalization.